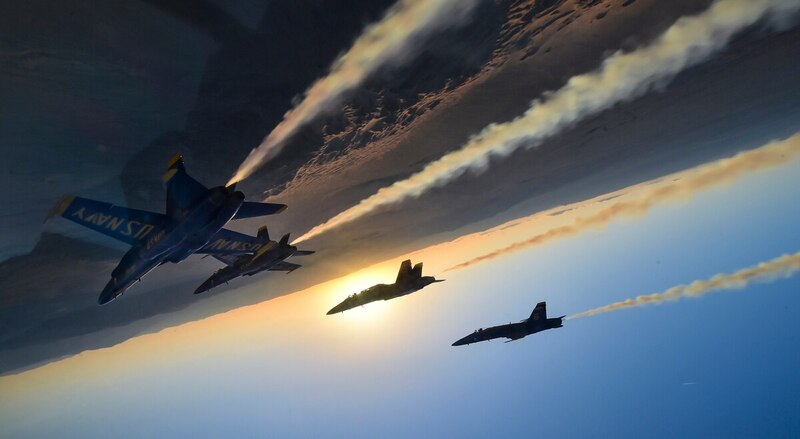 A member of the Navy’s aerial acrobatic team, the Blue Angels, has been suspended pending the findings in an ongoing investigation that kicked off in late January, according to Navy officials. Navy Lt. Michelle Tucker, spokeswoman for the Chief of Naval Air Training, told Navy Times that the probe involves unspecified allegations of misconduct that came to light last month. “Allegations of misconduct are taken very seriously by the Navy but it would be inappropriate at this time to comment on an ongoing investigation,” Tucker said. Tucker declined to say whether the member of the U.S. Navy Flight Demonstration Squadron — the unit’s official name — is a tactical aviator or part of the support and maintenance crew — but the removed person does not appear to be a “numbered” pilot. Those are the six aviators — currently five from the Navy and one from the Marine Corps ― who perform in the airshows. Commanders have halted this unnamed person’s activities with the Blue Angels while the team continues to conduct winter training at Naval Air Facility El Centro for the upcoming show season, Tucker said. The Navy annually counts 16 officers who volunteer for the team and they’re supported by nearly 100 enlisted sailors and Marines. Alternating crews of about 45 team members travel to each airshow, according to the Navy. Tucker said that the investigation is not linked to the Jan. 22 emergency landing of an unnamed Blue Angels pilot at El Centro. Buzz about the Blue Angels’ probe followed Tuesday’s unrelated announcement about the Air Force’s firing of Capt. Zoe “SiS" Kotnik, the first female pilot to helm that service’s F-16 Viper demonstration team. Her relief on Monday raised eyebrows because the Air Force had announced only two weeks earlier that Kotnick would take command of the Vipers.